There have seemingly always been multi-gaming organizations (MGOs) in South African esports that have more than one team. That’s why it’s called an MGO, surely? Their unstated goal has to be to field teams in an as many games as they can that they feel they would be competitive in. The “multi” part of MGO, if you will. What about MGOs that own multiple teams within the same esport? Teams that could potentially play against each other throughout the course of the year in the same competitions despite having the same owners? That’s what we’ll be focusing on here. With the FACEIT London CS:GO Major coming up, developers Valve saw fit to release updated rules surrounding multiple team ownership and match-fixing. Here are the updated rules covering those topics. 6.6 – Any form of collusion or match-fixing in order to manipulate the results in this tournament will result in disqualification and potentially a permanent ban from FACEIT. To report any match-fixing allegations, please send us an email with evidence to tournaments@faceit.com. 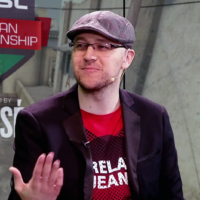 According to investigative journalist Richard Lewis, the amendments and additions to the rules were directly from Valve themselves, rather than by tournament organizers FACEIT. You can read the rules on the FACEIT Major Qualifier signup pages. Click on any of the qualifiers to gain access to the rules. It has some rather profound ramifications for certain international teams that are owned or part-owned by the same entities as well as players that own shares in other teams. Valve clearly see blurred lines of team ownership as a serious threat to the competitive integrity of their most prestigious tournament, even at the qualifier stage. What does this have to do with South Africa, I hear you ask? I think Valve’s rule amendments open up the possibility for our own discussions around the issue of multiple team ownership within the same game. If it’s important enough an issue for the notoriously hands-off Valve to step in, we should be aware of it as well within our local esports ecosystem. Interested in conflict? Let’s talk about conflicts of interest. I don’t necessarily feel that South African CS:GO’s competitive integrity has ever been compromised by the MGOs that field several teams within the game. At least not that I’ve ever noticed in the time I’ve been a commentator. I’m sure some of you might have examples you could mention in the comments that I’ve forgotten about or overlooked. My point is, however, that we should be cognisant of how it might look to outside investors when two teams with the same ownership face off against each other. Even if nothing about it is untoward, the possibility of impropriety is there. More importantly, the opportunity is there. As an example, should the MGO owner decide he or she wants Team X to lose to Team X Academy in their group stage encounter to get an easier playoff opponent for Team X, it could be easily accomplished. The motive and the means in that situation are there. Rules against match fixing should in theory prevent such an occurrence, but I find it problematic that such scenarios are very possible within South African esports. I understand that in many cases, MGOs that pick up multiple rosters within the same game will tend to have a main team, with the others in lower divisions focusing on developing newer players. Their intentions are likely to be entirely honourable. They are trying to give more players more opportunities, and that’s a commendable goal. The flipside of that coin comes into play when one considers the potential future growth of esports in this country. If we want to be all about professionalism and ensure that all local competitions operate at the highest levels of competitive integrity, there should be no possibility for conflicts of interest to arise that could bring match results into question. Scandals are always damaging to any sport. We’ve had our fill of cheating scandals in the last few years. Let’s not add match-fixing to the list. I don’t have all the answers. On one hand, it’s a good thing for development for the MGOs to try grow more than the typical five players on a single roster. On the other hand, with our scene desperately trying to transfer from amateur to professional standards, it’s not something that can be allowed to continue forever. I’d like to see MGOs gradually changing this to come into line with Valve and other major developers and international tournament organizers’ stance on the issue. It might not be causing us any headaches now. However, I’ve always found it preferable to get ahead of a potential problem rather than waiting for the proverbial brown stuff to hit the proverbial fan. We’d love to know your thoughts on the topic, dear readers. Let us know what you think in the comments below.